Since Brian was young he has always had an interest in landscaping. This drove him to begin working at age 14 and start Brian’s Mowing in March of 1998. With an interest in growing his company Brian attended night classes at the Lorain County JVS for horticulture during High School. With Brian’s dedication and determination he was able to continue expanding his services and grow his business. 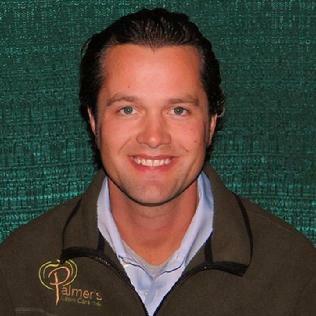 With this expansion his company was incorporated as Palmer’s Lawn Care Inc. in March of 2001. After High School Brian attended The Ohio State University ATI where he studied landscape construction and design to advance his knowledge in the horticultural industry. While finishing College Palmer’s Lawn Care purchased their first dump truck and began offering full landscape services in the greater Cleveland area. With the demands of the customers continuing to grow Brian became certified through the ICPI for the installation of pavers and retaining walls. In order to network and continue to grow his business Brian stayed active with the Ohio Landscape Association and the local Chamber of Commerce’s. In early 2013 Brian was elected to be a board member of the Columbia Chamber of Commerce. In Brian’s spare time he enjoys being outdoors. Some of his favorite activities are snowboarding, scuba diving, traveling and photography.